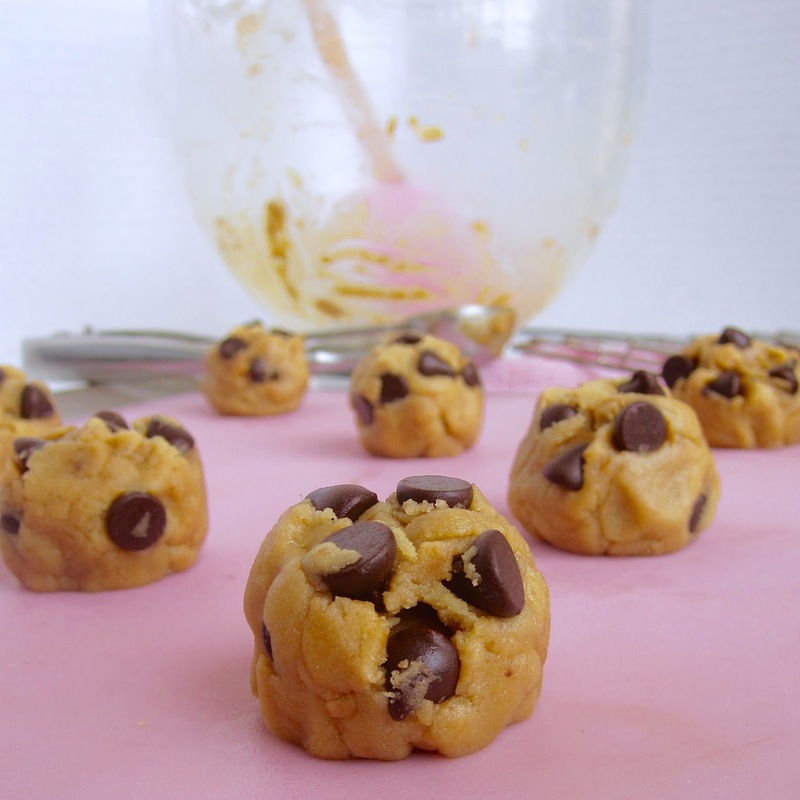 This recipe is great for when you just a want a couple cookies (that can also, easily be baked in the toaster oven in minutes) instead of an entire batch. 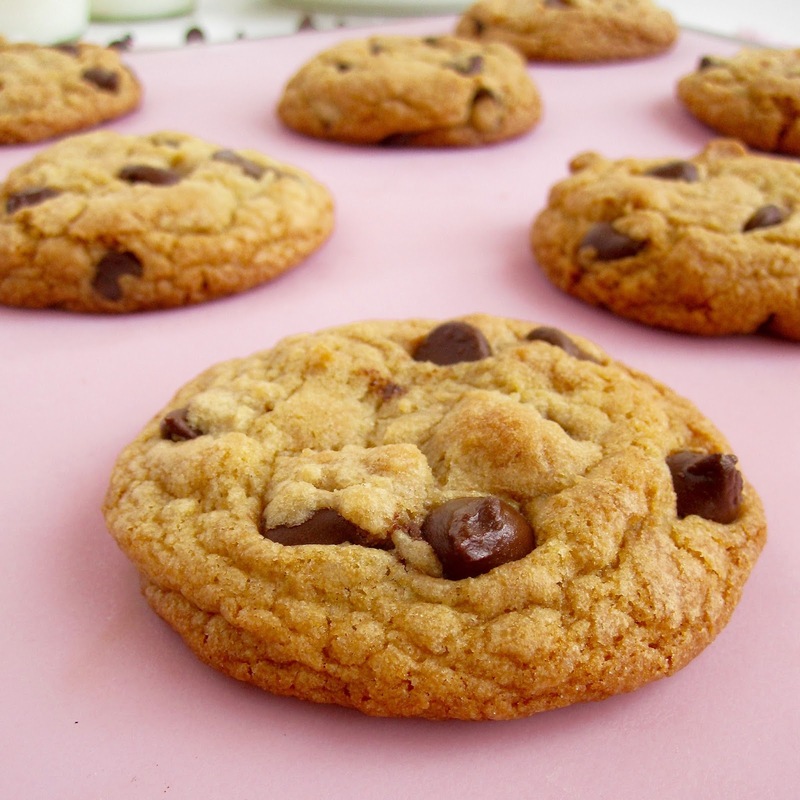 These cookies have a rich, buttery, caramel flavor, with crisp edges and a melt in your mouth chewy center. 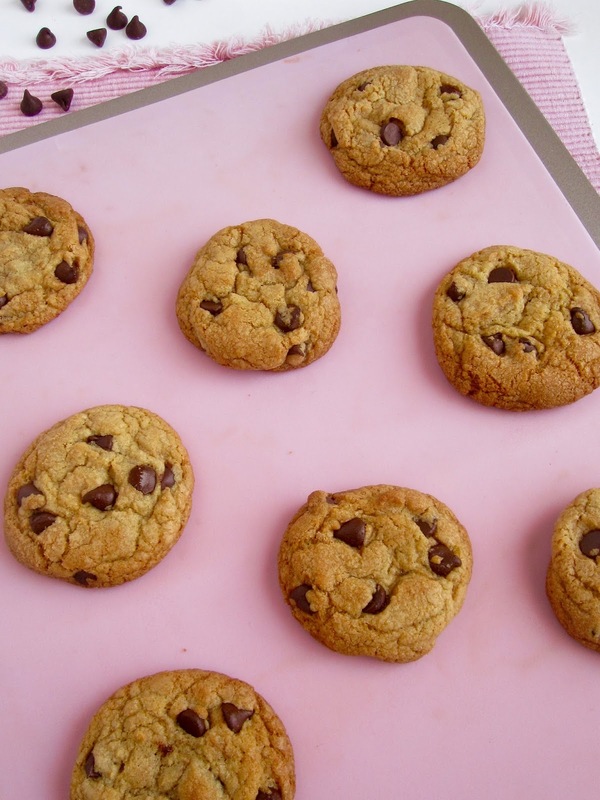 To me, these cookies are perfection. 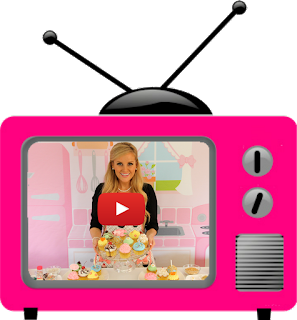 And since this is one of my most popular recipes on the blog, I made a video to go with it, so you guys can bake along with me! 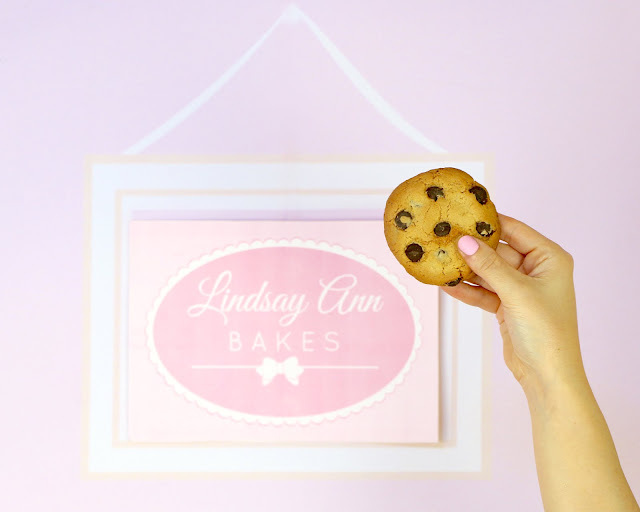 Most chocolate chip cookie recipes make at least a few dozen cookies, so it took me a while to come up with a small batch of 8-10 cookies that fit perfectly on one cookie sheet. 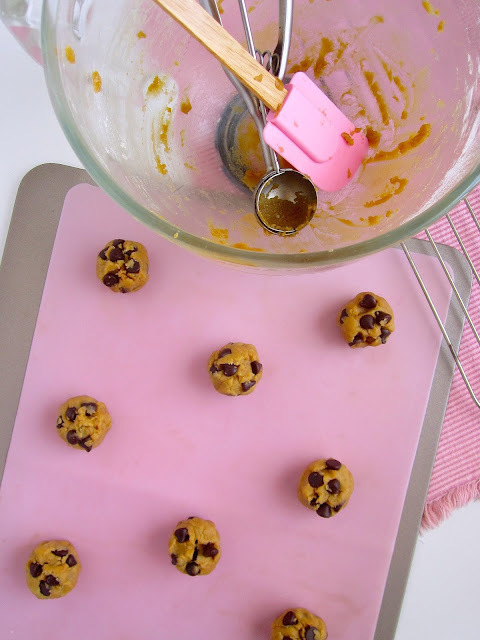 I always bake in small batches because it is so simple, quick and perfect when you don't need a whole plate of cookies tempting you from the kitchen the next day! 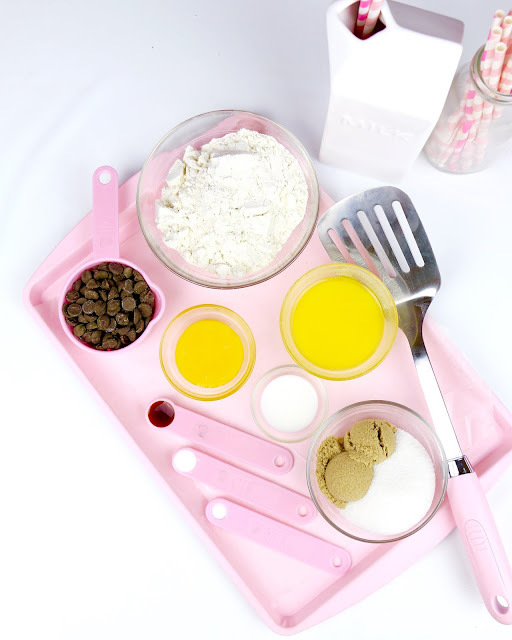 My small batch dessert recipes are simple to prepare using less ingredient, with quick baking times and easy clean up. This is a great recipe to whip up for a quick after dinner dessert, a special occasion, or for a late night indulgence without over doing it! The ingredients couldn't be more simple and the whole recipe comes together in one small bowl. Talk about easy clean-up! The best part is you can customize these any way you want by throwing in different types of mix-ins like chopped nuts, dried fruit or M&Ms. 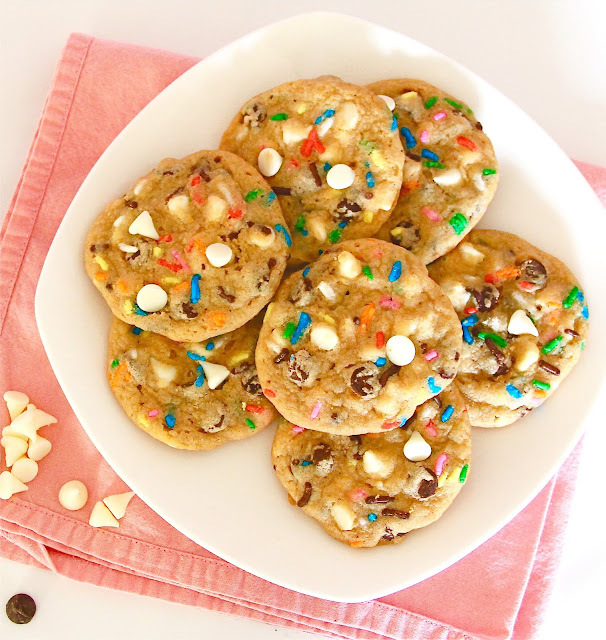 My favorite is adding a handful of white chocolate chips and rainbow sprinkles! 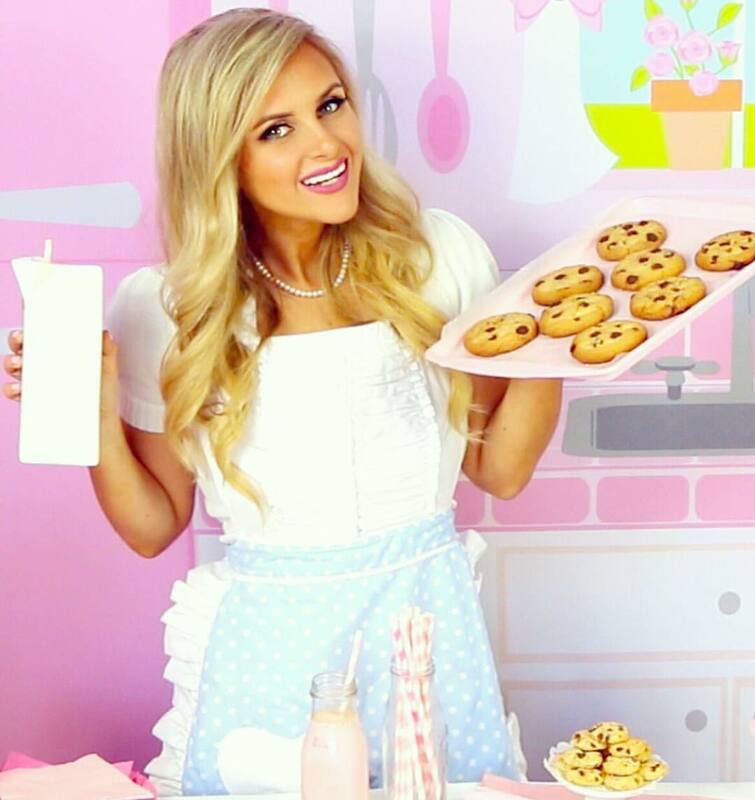 When baking in small batches, every little bit of ingredient makes a big difference in the outcome, so be sure to watch my video on How To Properly Measure Flour, to avoid accidentally adding too much flour, which will create dry, dense cookies, that don't spread properly. After you have weighed or measured out your flour, slowly stir it in. 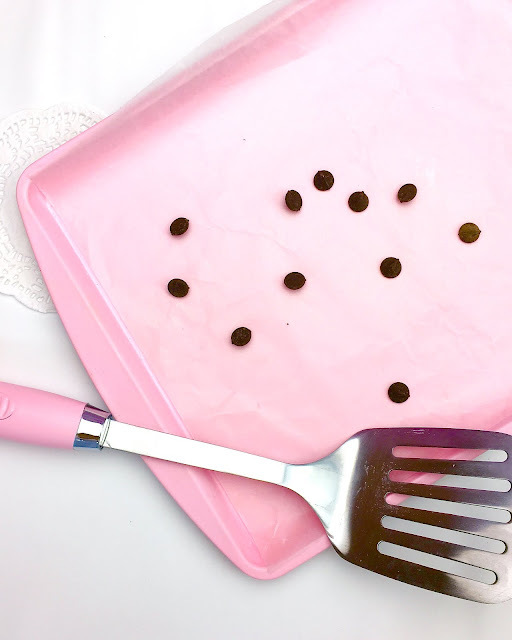 Fold in the chocolate chips and scoop onto 8-10 mounds onto a baking sheet. I usually line my baking sheet with parchment paper for less spreading. 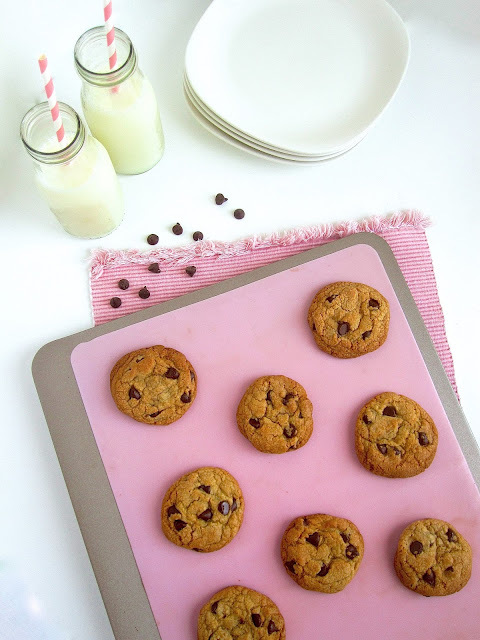 My small-batch cookie recipes make 8 delicious cookies that fit perfectly on a cookie sheet. I like to add a few extra chocolate chips on top so they bak up nice and pretty. Then, bake until centers are puffed and edges are beginning to set. Let cool or serve warm and enjoy! Preheat oven to 350 degrees F. Whisk together the flour, baking soda and salt; set aside. With an electric mixer, beat together melted butter and sugars on medium speed for about two minutes. On low speed, add the egg, milk and vanilla extract. Gradually add the flour mixture just until incorporated. 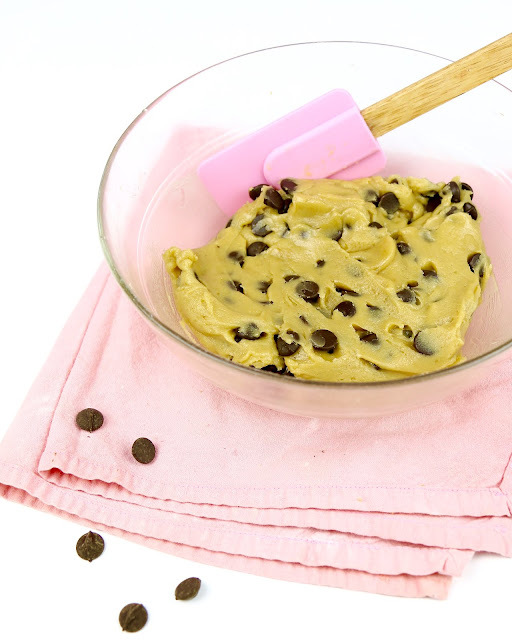 Fold in chocolate chips or mix-ins of your choice with a spatula or wooden spoon. Scoop 8-10 mounds of dough onto a parchment lined cookie sheet. If dough is too soft, cover and refrigerate for 30 minutes, or up to 3 days. Bake in preheated oven for 9-12 minutes, until edges just start to turn golden brown. Do not over bake. Cool on baking sheet for 3-5 minutes, before transferring to a wire rack to cool completely. Serve immediately, or store at room temperature in an air tight container.